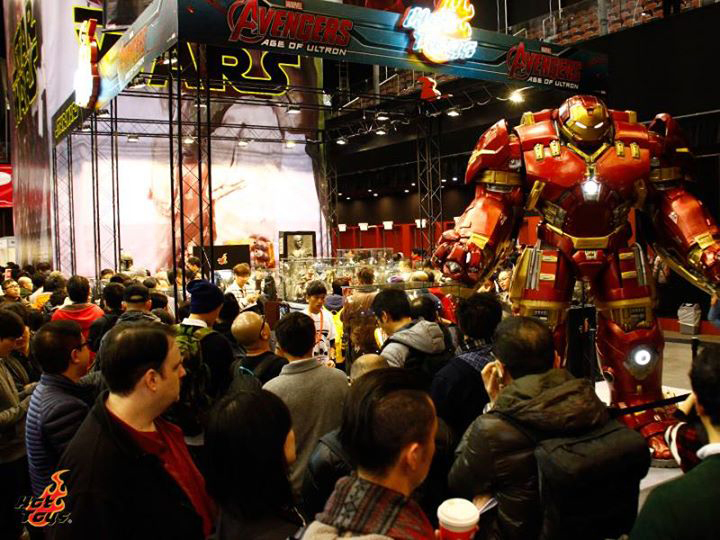 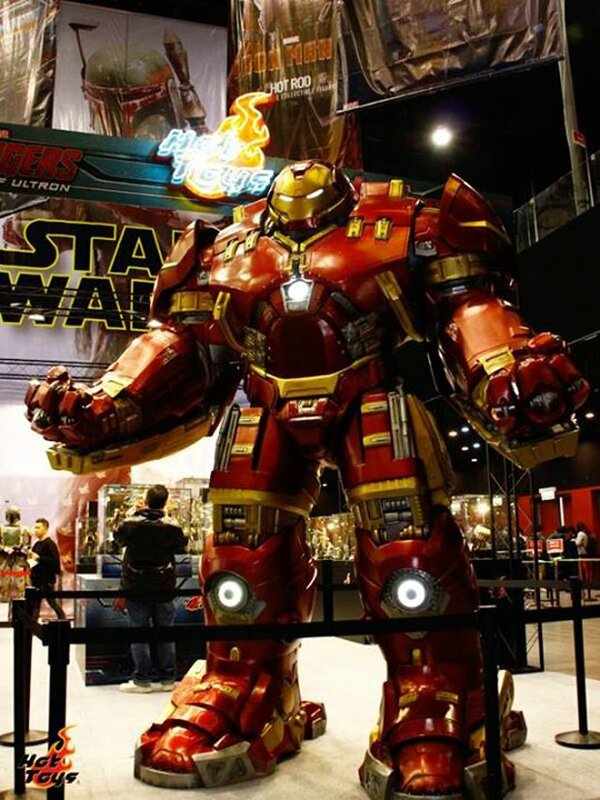 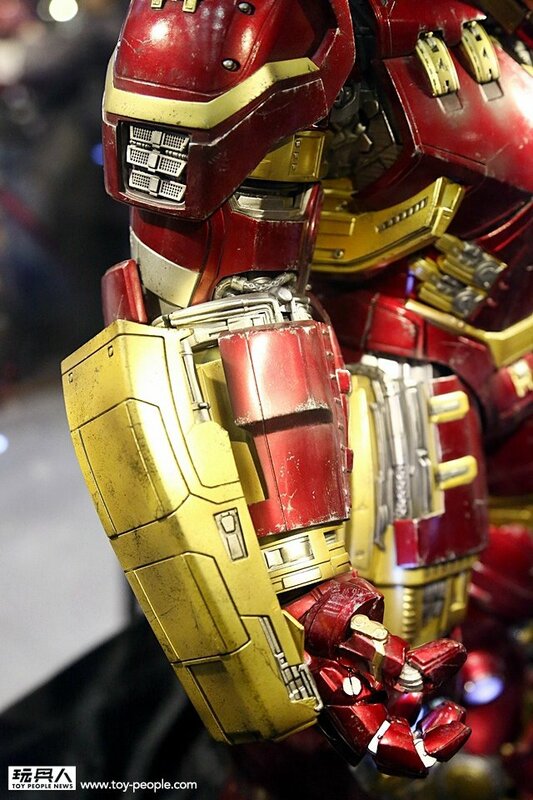 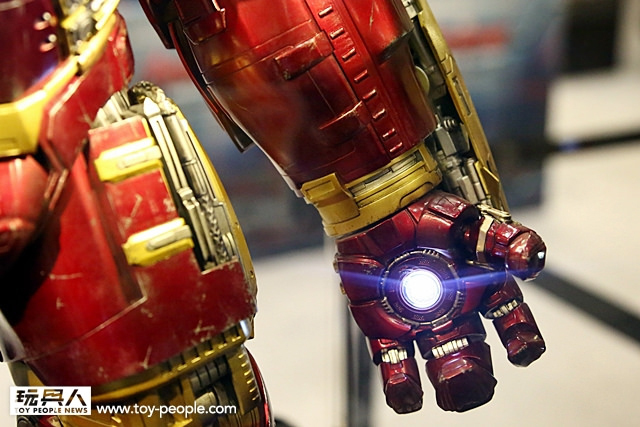 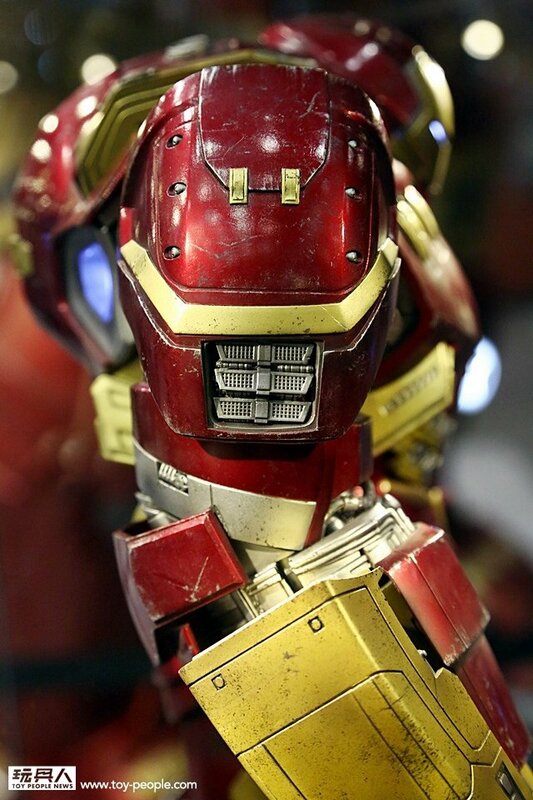 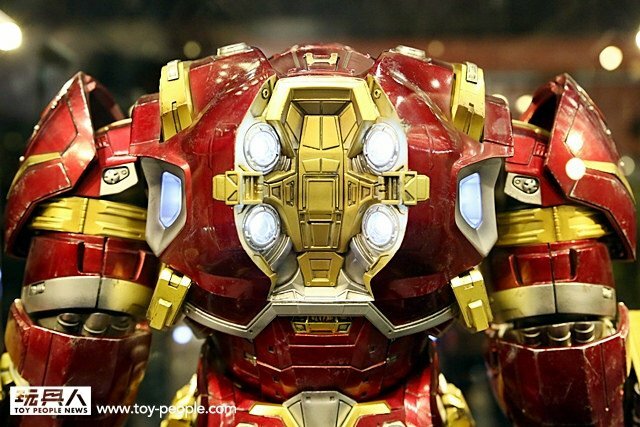 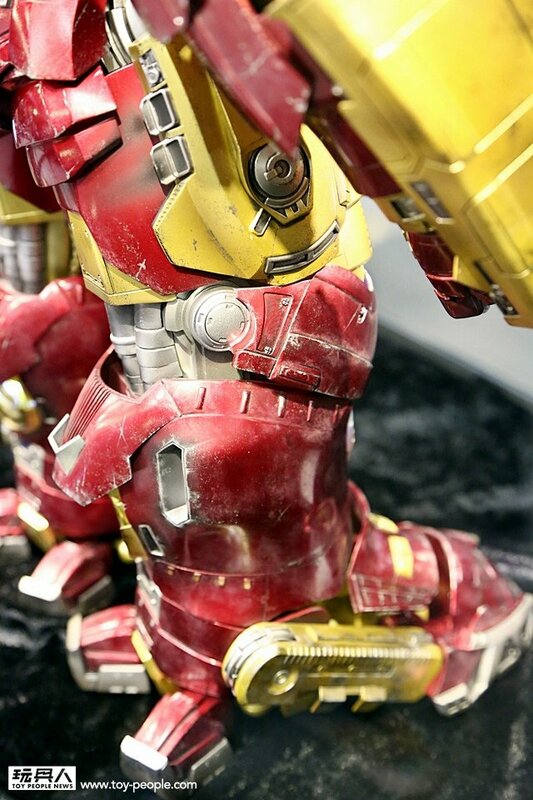 At the Toy Soul 2014 convention, Hot Toys unveiled the prototype of its 1:6 Scale Avengers: AoU Hulkbuster. 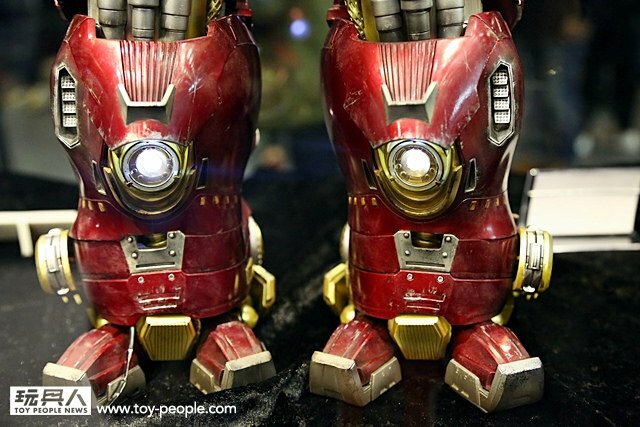 The 24″ tall toy has large light up parts and a weathered finish. 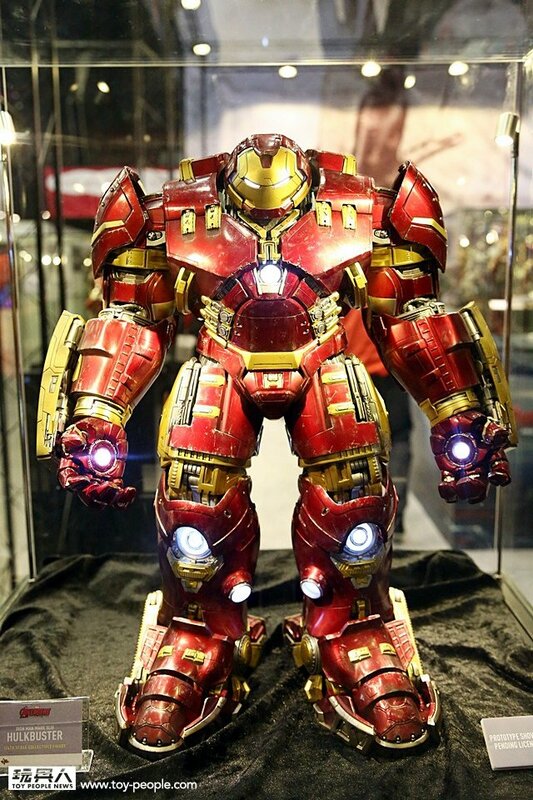 Hot Toys also had a life-size statue of the suit.